Kirsten Kilby, the managing director of UK fine wine merchant Armit Wines, is believed to have left the business, sources have told db, as the company reveals the extend of its accumulated financial losses in documents filed at Companies House. According to sources close to the business, Kilby left the company the week before last, although Armit Wines has not responded to db’s requests for comment. 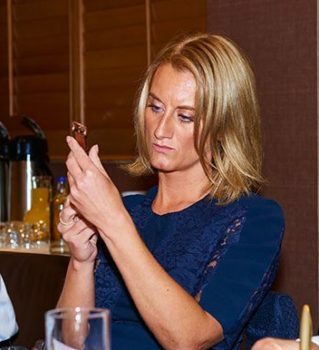 Kilby joined the fine wine business from Berry Bros & Rudd in October 2016, having previously worked in marketing and comms roles for luxury and fashion brands including Tag Heuer, Aquascutum, Paul Smith and Nicole Farhi. Her appointment followed a challenging period for the fine wine company, which had been affected by a computer system failure in 2016 that it later said had cost it four months of operational trading. Speaking to db soon after her appointment, Kilby said she wanted to streamline the range, stripping out around 20% of the range, and cutting the number of agencies from around 400-500 to 100. In July 2017, the company, which celebrated its 30th anniversary last year, was bought by French company InVivo Group as part of its acquisition of Armit’s owner, Dutch company Baarsma Wine Group from private equity firm AAC Capital Partners. Following the acquisition, the €6.5 billion French-based business, which also owns Bordeaux négociant houses Cordier and Mestrezat and one of France’s leading co-operatives, Vinadeis, said it intended to significantly grow its international wine activities. According to accounts filed at Company House on 3 April, the company reported profits of nearly £565,000 in the 15 months to 30 June 2018, compared to a loss of nearly £603,000 in the previous year on turnover that remained flat (£27.8 million in the 15 months compared to £22.6 million in the 12 months to 31 March 2017). However, Armit Wines has accrued accumulated total losses of £2.38 million by the end of the 2018 financial year, down from £2.95 million in 2017, and according to the director’s statement, its liabilities exceed its assets by around £1.63m. The UK fine wine merchant is currently ‘dependent’ on its new owner, the results confirmed. “The continuity of the company depends to a certain extent on the willingness of group entities to continue these financing facilities,” the annual results stated, adding that the new owners were investigating solutions. Armit Wines is a subsidiary of Armit Holding Limited, which said in a separate documents filed at Companies House that it would continue to focus on its business model and ensure that the performance was less dependent on any one single campaign or vintage release. The results noted the challenges of a difficult trading conditions, especially in the on-trade and hospitality, and Brexit-related exchange rate fluctuations, but said it had seen progress in its advisory service and IT systems and it had invested in boosting its senior sales team. Armit has made a series of investments in its senior sales team in recent months, appointing Bancroft Wine’s Susan Harper as sales & marketing manager in October 2018. It also boosted its London restaurant and off-trade team with the appointment of James White in the new role of head of London sales in May 2018, along with Field, Morris & Verdin’s Nicolas Clers MS as key account & brand manager in October that year. In January 2019 it appointed Giusy Andreachio, who rejoined the company after 18 months at C&C, in the new role as Italian Ambassador in its London team, Catia Santolin from Field, Morris & Verdin, and Alex Hill as brand manager.